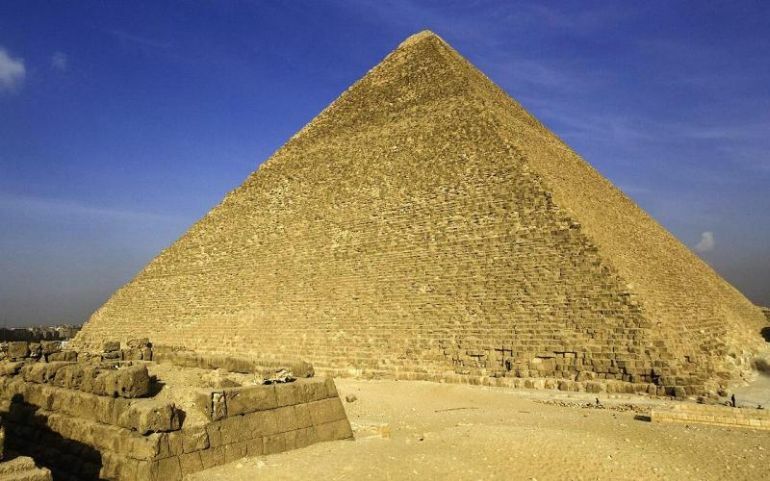 Many of polished outer surface stones of the Great Pyramid were removed in 12th century AD, for building projects around Cairo. The end result of such high levels of polishing yielded immaculately smooth surfaces that were fascinatingly shiny beyond reckoning. 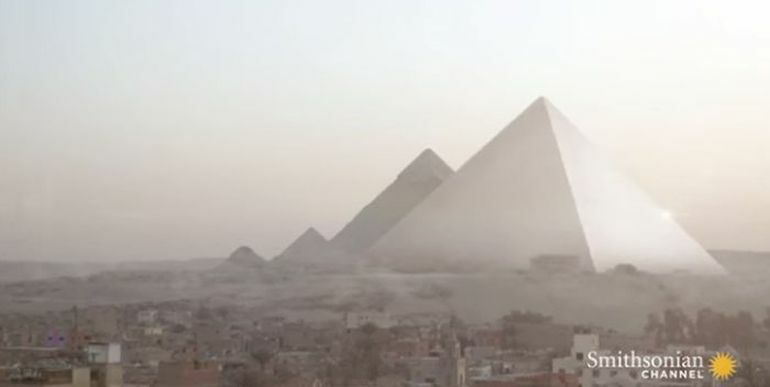 And, considering that there was limited pollution and smog circa 2500 BC (as opposed to our contemporary times), the Great Pyramid of Giza must have been an ‘otherworldly’ magnificent spectacle during the time of its completion – with ethereal, glass-like facades basking in the glory of the effulgent sun. Quite poetically and rather aptly, the Ancient Egyptians called the Great Pyramid by the name of ‘Ikhet‘, which simply translates to ‘Glorious Light’. Interestingly, Williamson also sheds some light on how the grand endeavor of building pyramids was not only about the impressive outcome. The stately structures also pertain to the incredible organizational skills of the administrators and architects of that period – with these massive-scaled projects involving beyond thousands of workers, craftsmen and artisans; along with hundreds of miles of distance being covered for just acquiring the basic building materials. One of these examples would pertain to how few of the stones (especially, the ones used in the inner chambers) weigh more than 50 tons – and yet they were transported to the site from Aswan, which is 500 miles away.